Consumer-facing brands have the opportunity to grow sales through digital commerce channels, but face substantial challenges and risks. If a brand’s digital business professionals do not craft a clear digital commerce strategy, they ultimately empower others at their expense. This session will focus on housewares manufacturers and how their role in retail is changing. 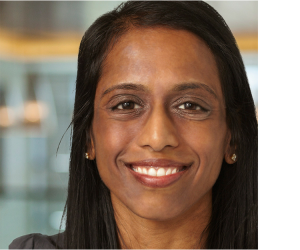 Grounded in extensive retail, consumer and digital research, Sucharita Kodali will share market data and strategic analysis to help guide brands in the digital age. As the principal analyst serving eBusiness and channel strategy professionals, Sucharita Kodali is an expert on eCommerce, omnichannel retail, consumer behavior and trends in the online shopping space, and an authority on technology developments that affect the online commerce industry and vendors that facilitate online marketing and merchandising. In her research, Kodali covers consumer-oriented topics including eCommerce forecasting and trends, merchandising best practices, conversion optimization and social computing in the retail world. She also has authored “The State Of Retailing Online,” a joint study conducted annually with the National Retail Federation. Kodali has extensive experience in the retail industry. Prior to joining Forrester, she was director of marketing at Saks Fifth Avenue, where she managed customer acquisition, retention and market research for the luxury retailer’s online channel; held management positions at Toys R Us, where she was a merchant in the Babies R Us division and a store manager in one of the company’s largest toy stores; and worked for the Walt Disney Company, developing and managing marketing plans for new business initiatives, including Disney Stores, the Disney Cruise Line and Club Disney. 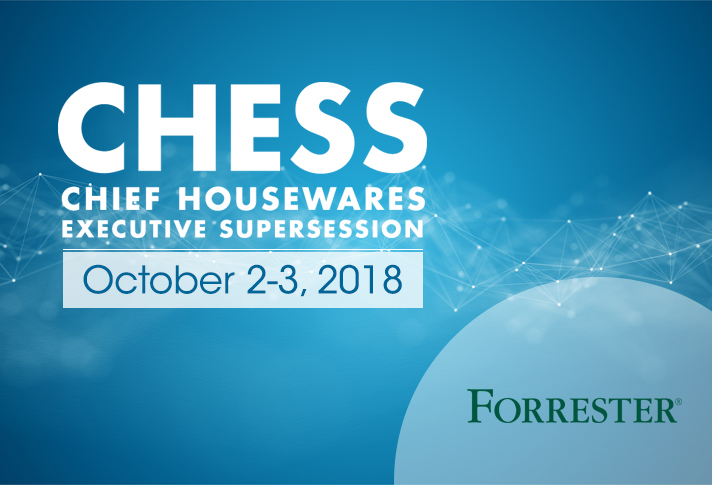 CHESS—Chief Housewares Executive SuperSession—is IHA’s annual senior-level conference for industry leaders. This strategic education and networking event of the year allows attendees to access high-profile industry experts directly and share information and ideas with other housewares and home goods decision-makers. Held every fall, CHESS attracts more than 150 chief officers of IHA’s most prominent member companies. The program includes Keynotes, panel discussions, general sessions and networking opportunities—the most valuable part of the 2-day event according to past participants.